With the aging of the baby boomers and advances in medicine and technology, more people are living into old age, and more elders are experiencing abuse. According to the National Center for Elder Abuse, at least 1 in 10 elders report some form of abuse. And according to the National Elder Maltreatment Study of more than 6,000 elders and proxies, the most prevalent form of elder abuse is financial in nature, eclipsing both elder emotional abuse and elder neglect. Financial offending is behavior that targets and takes advantage of elders for personal financial gain. Financial offenders (aka fraudsters, scammers and con artists) lack empathy for their victims. They groom victims by promising rewards for financial giving. They may promise products, services, time, money or even social-emotional needs fulfillment, including safety, security, belongingness, love and self-esteem. 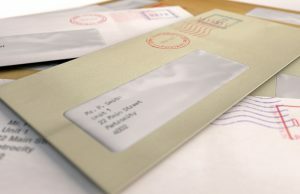 Fraud conveys the appearance of legitimacy with words that sound credible (e.g., “official postal notice”) and names that sound familiar (e.g., Children’s Wish Foundation). It often taps into patriotic duty and religious value, using symbols such as flags, eagles, crosses and stars. 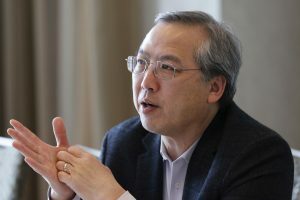 It may evoke a sense of urgency with expressions such as “last chance offer.” Fraudsters produce hopes of financial reward by implying that their targeted victims have already won. Elders who respond to fraudulent pitches are placed on a “sucker list” that is sold again and again. Family member caregivers commit the majority of financial exploitation of elders. Family caregivers exploit as a function of personal burden rather than as a result of the burden of caregiving. Compared with burdened caregivers who do not exploit, exploiters are more likely to be occupationally, financially and mentally unstable; are more apt to have an addiction; and are more likely to be financially dependent on the elder. Family caregiver exploiters are seen to use avoidance more than acceptance strategies to manage conflict, and they equally isolate victims and threaten abandonment if a report is made. Exploiters use intimate knowledge of the elders’ vulnerabilities to portray victims as weak and dependent. Although they may feign interest in receiving help, caregivers who exploit elder family members should not be included in counseling except in post-adjudication restorative justice. Elder cognitive impairment is the single greatest risk factor for all forms of elder abuse. It is strongly associated with various forms of financial abuse, including money mismanagement, negligence, fraud and exploitation. In addition to being a risk factor for financial abuse, cognitive impairment can be exacerbated by financial abuse. Financial abuse disturbs the elder’s capacity to know what is real and whom to trust. The victim may feel confused and disoriented, as though he or she is going crazy. 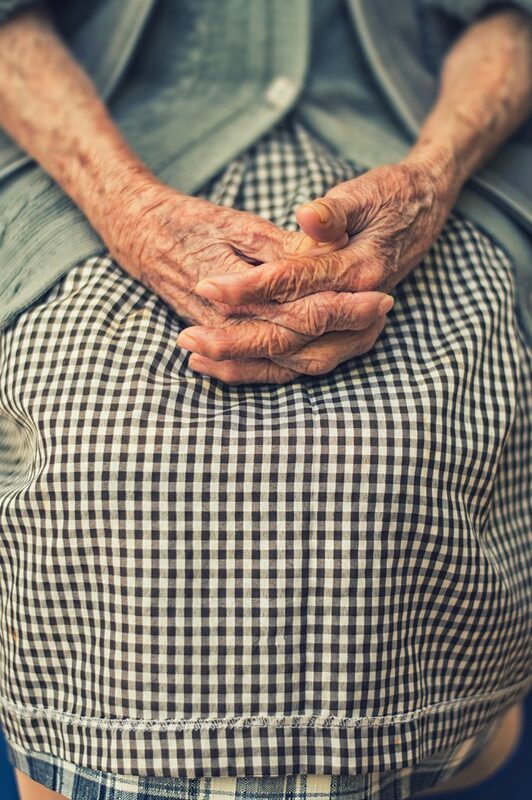 Other risk factors for all forms of elder abuse include elder mobility problems, being homebound, medical and psychiatric conditions, substance abuse and social isolation. Although social isolation can be a symptom of mental illness, it can also indicate a fear of retaliation for seeking help. Financial worries and fear of losing financial control are very common in old age. Elders worry about the cost of living, health care, long-term care and the financial struggles of adult children. In a 2014 Pew Research Center survey, about half of adult children reported financial dependence on aging parents to meet the cost of living. Economists explain that today’s generation of adults is the first to not surpass their parents’ financial success. Because elder financial worry is associated with financial risk-taking, such as falling prey to scams and risky investments, it is considered a risk factor for abuse. Finally, there is a particularly high risk for elder financial abuse during times of crisis and transition, such as after the death of a spouse or during recovery from a fall. At these times, elders are more vulnerable to others gaining financial control under the guise of helping. The reactions of elders to financial abuse parallel the reactions of victims of all ages to various types of abuse. These reactions include denial, avoidance, confusion, hurt, betrayal, anger, embarrassment, shame, guilt, helplessness, hopelessness, mistrust, dissociation, hypervigilance and paranoia. Symptoms of elder financial abuse mimic those of depression, anxiety, posttraumatic stress disorder, dementia and even psychosis. Helplessness, hopelessness, diminished self-worth and social withdrawal are so common among victims of elder financial abuse that their presence should always signal the need for an abuse assessment. Reluctance to report financial abuse is also due to the emotional, physical and financial toll that abuse investigations take on victims. It is much simpler not to deal with an investigator who needs to examine financial records, review changes in assets, and create timelines of transactions and who was involved. Elders are typically discouraged from filing reports; only about 1 in 5 cases of family exploitation and 1 in 25 cases of stranger fraud are reported. Principles that guide counseling for child abuse can also be applied to counseling for elders who have suffered financial abuse because the dynamics are very similar. Many of the risk factors are the same (cognitive limitations, mobility problems, social isolation). Symptoms are the same (fear, confusion, hopelessness, hypervigilance). Reasons behind the reluctance to report are the same (fears of not being believed, facing retaliation, breaking up the family, being institutionalized). Threats and intimidation for reporting are the same (isolation, withdrawal of help, exposing inadequacy). And social position is the same (dependent, protected). Financial abuse stresses an already stressed system, and victim allies may need to help produce financial records, close accounts, set up online payments, vet the mail, provide emotional support and so forth. The passage of three laws in 2010 laid the foundation for developing integrated elder abuse services. First, by mandating states to develop adult protective service laws, the Elder Justice Act produced a common language to talk about elder abuse problems. Second, by requiring states to develop adult protective service systems, the reauthorized Adult Protective Service Law expanded state and national elder abuse detection, investigation and reporting. Finally, by funding elder mental health screening under Medicare and elder mental health counseling under Medicaid (for states opting in), the Affordable Care Act elevated the provision of elder mental health services. In 2015, the White House Conference on Aging asserted that best practices in elder abuse prevention are multidisciplinary. This means that counselors will be called on to detect, investigate and report elder abuse in collaboration with diverse professionals. Multidisciplinary prevention of elder abuse will work much like the National Children’s Advocacy Center (NCAC) model, but instead of aiming to prevent child abuse one child at a time, its aim is to prevent elder abuse one elder at a time. Joanne Cohen is a professor and coordinator of the marriage, couple and family counseling program in the Department of Counselor Education at Kutztown University. She is a national certified counselor and licensed marriage and family therapist. Cohen specializes in trauma and addictions counseling, prolonged exposure counseling and client-centered counseling process and supervision. She serves as a volunteer assistant ombudsperson for a county office of aging and adult services. She is trained in the NCAC multidisciplinary treatment approach to child abuse prevention. Contact her at cohen@kutztown.edu. A rabbi, returning home on a train, sat near a group of salesmen who were playing cards. Absorbed as he was in meditation, the rabbi refused to join the card game. One of the salesmen, annoyed by the rabbi’s aloofness but unaware of who he was, pushed the rabbi out of the compartment. Upon reaching their destination, the men discovered that their companion on the train was a revered rabbi. This revelation prompted the salesman to ask for the rabbi’s forgiveness, but the rabbi refused. People then questioned the rabbi about how he could be so unforgiving. The rabbi explained that because the salesman had assumed he was offending a “common man” on the train, only that man, not the rabbi, could grant forgiveness. This parable by Rabbi Abraham Joshua Heschel illustrates the complexities and power of forgiving and teaches that only people who have been wronged have the power to forgive. It also reveals the way that people’s thoughts about forgiveness shape their view of its utility. According to a survey by the Fetzer Institute, 62 percent of Americans think that they need more forgiveness in their personal lives. “We spend a lot of negative energy ruminating on parts of our lives that have been harmful,” observes Richard Balkin, assistant chair in the Department of Counseling and Human Development at the University of Louisville. “We have nightmares over this, we have flashbacks, we have memories that disrupt our lives.” Many people hold on to these negative or hurtful memories for years, he says. The pressing question for counselors is how they can help clients move past the anger or hurt that is tied to these past events. And that leads to examining the potential role that forgiveness can play in the process. Balkin, editor of ACA’s Journal of Counseling & Development, notes two different types of forgiveness. Interpersonal forgiveness is a relational process that involves forgiveness and reconciliation between the aggrieved person and the perpetrator, Balkin explains. He points out, however, that forgiveness doesn’t have to be relational, and this is where the second type of forgiveness comes into play. Intrapersonal forgiveness is an independent process in which the aggrieved person forgives by letting go of the hurt or pain caused by the perpetrator, or the perpetrator forgives by granting self-forgiveness for the pain he or she has caused others, Balkin says. There is growing evidence that the act of forgiveness is both physically and mentally empowering. In 2005, Harvard Medical School published an e-newsletter citing research suggesting that forgiveness reduced stress, lowered the risk of heart disease, strengthened relationships, helped lessen pain and instances of chronic illness, and led to greater happiness. A decade later, the scientific research on the topic had increased so much that Loren Toussaint, Everett Worthington Jr. and David Williams edited a book, Forgiveness and Health, that focused specifically on the health and well-being benefits of forgiving. According to Stuntzner, forgiving improves a person’s coping and adaptation, reduces negative feelings and creates an overall better quality of life. Part of the power of forgiveness is that “there are multiple directions in which forgiveness can be applied,” she says. Counselors can use forgiveness as a tool to help clients with different situations, such as working toward self-forgiveness or working to forgive an abusive partner, she says. By coming to a new understanding of the past and how it affects a situation in their present, clients “are freed up emotionally and mentally to focus on more positive things,” Stuntzner says. When giving presentations to counseling audiences, Hagedorn often asks how many attendees have clients whose anger, depression, substance use, anxiety, relational discord or other issues are grounded in resentment or regret. Typically, 90 to 100 percent of the audience members answer in the affirmative, he says. Even though these two areas are central to forgiveness work, not many counselors are doing anything systemically with resentment and regret, adds Hagedorn, an ACA member and past president of the Association for Spiritual, Ethical and Religious Values in Counseling. Furthermore, counselors can actually be resistant to using forgiveness strategies in their practices, Hagedorn says. In fact, he argues that assessing client-based and clinician-based resistance is one area that doesn’t get enough attention. 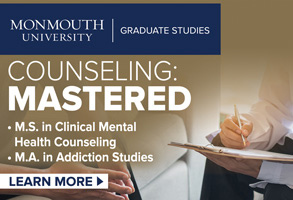 Counselors may be resistant because they do not feel competent and do not know where to start or because they have not done their own work and would feel hypocritical using forgiveness techniques in session with clients, he says. Another reason that some counselors hesitate to engage in forgiveness work in session is because they consider it to be a religious intervention, Hagedorn says. Many people — clients and counselors alike — view the topic of forgiveness as something that falls under the auspices of religious leaders, not counselors. Stuntzner says that people’s beliefs about forgiveness, or even their beliefs about religion and spirituality, may hinder their ability to forgive. Yet she finds that the concept of forgiveness can be incorporated into multiple beliefs. She often asks clients what forgiveness looks like to them as a means of connecting forgiveness to their belief systems. Other clients are resistant to forgiving for reasons that have little to do with religion or spirituality. Because clients often believe that forgiveness is relational, they may assume that forgiving someone is equivalent to pardoning the offender or condoning the offense that injured them, Hagedorn says. In addition, they may not recognize the connection between these old wounds and the presenting concern that brought them to counseling, he notes. Counselors may assume that this resistance signifies that a client does not want to forgive. Instead, Stuntzner advises, counselors should interpret resistance as meaning simply that more work needs to be done before the client is ready to forgive. Because forgiveness is not universally defined, counselors need to be open to clients’ values and beliefs surrounding the concept. Sometimes this means “letting them come up with their own terms,” Stuntzner notes. Hagedorn says one area that is missing in the practice of forgiveness is the assessment of client readiness. “We [counselors] tend to throw action-oriented interventions at clients across the board because we assume that when they come in for help, they are ready to make an active change,” he says. But that is not always the case. Stuntzner looks for possible indications that a client might be ready to work on forgiving. For example, does a particular event or person seem to rule the client’s life? Does the client spend a significant amount of mental and emotional energy rehashing the offense? Is it getting in the way of the client’s present life? Is the client in enough pain that he or she no longer wants to feel that way? Lemon, an ACA member who frequently works on forgiveness with her clients, also looks for signs. In terms of needing to be forgiven, clients will typically show remorse, a desire to make it right or a desire to move on, she says. Counselors can assess client readiness by looking at how their behaviors match those stages of change (e.g., engaging in “other” talk, blaming others for their pain), Hagedorn explains. But, ultimately, the decision to forgive lies with the client. Balkin stresses the importance of forgiveness being initiated by the client. Clients need to say that they are struggling with a situation and that they want to change it. Counselors must be careful not to impose forgiveness on clients before they are ready to forgive because the clients’ beliefs about forgiveness may hinder the process, he adds. People often assume that forgiveness is something that just naturally happens in the counseling process, Stuntzner says. However, forgiveness is not necessarily an intrinsic process. 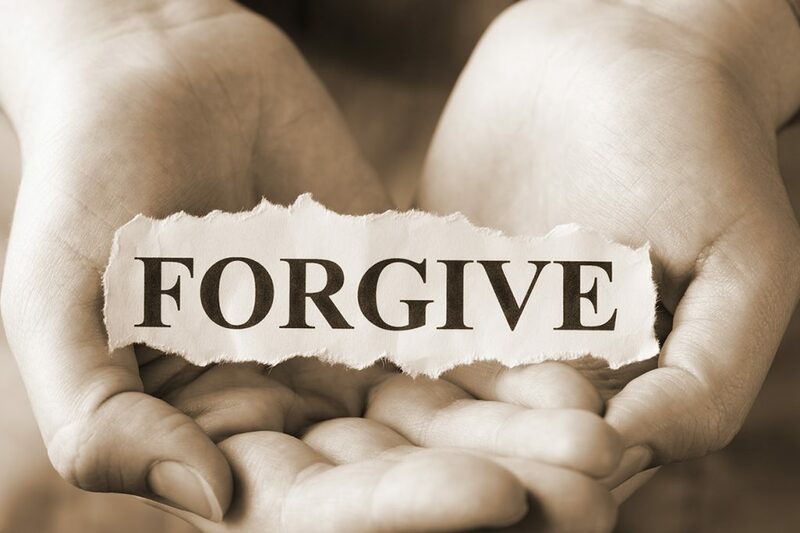 Forgiveness scholars, including Frederic Luskin, director of the Stanford University Forgiveness Project, and Robert Enright, co-founder of the International Forgiveness Institute, argue that forgiveness is a teachable skill that requires practice. Hagedorn, an addictions counselor in Orlando, Florida, points out that one-third of the steps in 12-step recovery programs deal with forgiveness. He refers to Step 4 and Step 5 as “practice forgiveness” because they involve individuals taking inventory of the harm they have caused others and themselves and then seeking forgiveness from someone whom they have not harmed (e.g., a higher power, a counselor, a sponsor). In Step 8 and Step 9, individuals make a list of everyone they have harmed and seek forgiveness from them. Hagedorn has found that practicing forgiveness is also a good therapeutic technique for clients who need to learn how to be forgiven by others. Stuntzner agrees that practicing forgiveness is a helpful technique. If a client cannot forgive a hurt because it is too painful, she advises counselors to restructure the session and ask the client if there is someone else he or she can forgive. Forgiving someone else can help clients experience the benefits of forgiveness and build confidence in the process, Stuntzner says, which might encourage them to readdress the previous hurt they were initially resistant to or at least apply forgiveness to other situations in their lives. Clients must continue to develop the skill of forgiving because, as with any skill, it can get rusty without practice. Therefore, Stuntzner suggests that it might be beneficial for counselors to check in or have booster sessions with clients to see how they are doing with applying forgiveness in their daily lives. Another common misconception is that forgiveness is relational. “Often people believe that reconciliation [has to be] part of forgiveness … and that is simply not the case. Reconciliation may or may not be part of the process,” says Balkin, an ACA member and past president of the Association for Assessment and Research in Counseling. In fact, sometimes, reconciliation is not possible. 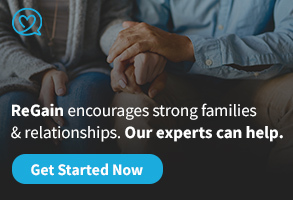 Balkin offers an example from his own practice: A client is processing pain from the emotional neglect she experienced from her father growing up. He becomes terminally ill after she is an adult. While taking care of him, she tells him that she loves him, but he dies without ever returning the gesture. In this case, reconciliation is not possible, and the client must come to terms with the fact that she will never get what she wanted. In situations such as these, intrapersonal forgiveness is key, Balkin says. The Jewish conceptualization of mechila, which means to wipe away debt, can serve as a helpful tool for teaching intrapersonal forgiveness, says Balkin, who finds this concept of forgiveness particularly empowering. By acknowledging that the person who hurt them no longer owes them anything or that they don’t expect anything from the person, clients stop spending time or negative energy on the hurt, thereby regaining control of their lives, he explains. Because intrapersonal forgiveness does not require reconciliation and can be done on a personal level, people may assume incorrectly that it is easier, Balkin says. Admittedly, interpersonal forgiveness is difficult because a client must set aside the hurt and work on trusting the other person again, but intrapersonal forgiveness comes with its own set of challenges. When Stuntzner initially started out, she viewed forgiveness work as atheoretical, but she quickly realized that counseling journals often wanted it tied to a specific approach. Even though she still believes forgiveness is a process in and of itself, she finds that it also works well with other counseling approaches. In fact, she views resilience, self-compassion and forgiveness as “a three-legged stool” because one can lead to another. “As people learn to forgive, they can experience more compassion and self-compassion and vice versa,” Stuntzner says. Lemon believes that forgiveness work can be integrated into any type of therapy. After all, she points out, clients typically do not come to counseling just to work on forgiveness, so adjunct therapies are required. For example, she thinks there is a cognitive behavioral aspect to forgiveness. “Any type of spiritual approach works well with CBT [cognitive behavior therapy] because it is about changing thought patterns,” Lemon says. She adds that Adlerian therapy and solution-focused brief therapy (because it is goal-oriented) also work well with forgiveness. In addition, forgiveness meshes well with acceptance and commitment therapy (ACT) because of the aspects of self-acceptance and commitment to change, Lemon says. Even so, Hagedorn cautions counselors against using ACT initially unless they are already familiar with it. ACT is not a stage-based or linear theory, so it requires counselors to possess a significant amount of experience with clients and the change process, he explains. Instead, he suggests that counselors begin with mindfulness-based interventions, which are an easy entryway to forgiveness work because they focus on getting people grounded and in the moment. “Forgiveness is one of those things that we want to do but sometimes we don’t know how to do,” says Lemon, who has presented on the mind-body approach to forgiveness. Clients often resist cognitive approaches to forgiveness, she adds, which is why mindful forgiveness is so important. Mind-body techniques allow clients to “bypass the cognitive thinking and go to the unconscious” so they don’t have to focus on questions such as if they need to let the hurt or betrayal go or if the other person deserves forgiveness, she explains. Approaching forgiveness from an energetic standpoint, Lemon aims to help clients rid themselves of toxic emotions such as anger and resentment by using forgiveness meditation. This method combines mindful breathing, affirmations (e.g., “I forgive you for all wrongdoing”) and positive visualization (having clients visualize someone they care for and then applying those same feelings to the offender and themselves). Hagedorn refers to a mindfulness technique he uses as “the breakaway.” In this technique, a client recounts the story of his or her trauma or hurt. Partway through, the counselor has the client stop (or break away) to notice five things in the room. Afterward, the client picks up where the story left off. Through this technique, clients learn to “go in and out of the story and thereby gain some control and power back,” Hagedorn explains. Lemon recommends another helpful mindfulness technique connected to forgiveness work that asks clients to imagine their situation from four perspectives: their own, a bystander’s, the offender’s and the client’s highest spiritual self. The technique involves more than just asking clients how they think the other person would feel, which often creates resentment, Lemon says. Instead, clients role-play and step into that other person’s perspective. Balkin urges counselors not to assume that reconciliation is a necessary part of forgiveness just because the word is in the model’s title. “[The FRM] is a process-oriented model, not one that eventually leads to a single conclusion,” Balkin says. Therefore, the model is a way to process forgiveness and helps counselors and clients decide if clients should reconcile or take a more intrapersonal route, he explains. To aid in the process of choosing between interpersonal and intrapersonal forgiveness, Balkin, along with other researchers, also created a Forgiveness Reconciliation Inventory (FRI). The inventory contains four scales that measure each stage in the FRM. With this inventory, clients can “see the conflict illustrated on paper,” Balkin notes. For example, when working with women in a domestic abuse shelter, Balkin found that some of the women wanted to reconcile with their partners even though the partners had not shown any remorse or changed their behaviors. The FRI helped the clients visualize the process and realize that in their situations, reconciliation would do more harm than good. Balkin warns counselors not to think of assessments such as the FRI as labeling or diagnostic tools. No model or inventory will allow counselors to label someone as a “forgiving person.” Rather than being generalized to all issues, these tools are unique to each experience, he explains. In fact, similar situations can have very different outcomes. Therefore, the FRI “is not a labeling instrument, not a diagnostic instrument. It is a process instrument. It is designed to be used to enrich the session with the client,” Balkin says. Forgiveness is often discussed in terms of difference. We talk about how religious, spiritual and cultural views or gender differences affect forgiving. But Balkin points out that it is more helpful to look at the commonalities of forgiveness. For example, we have all been hurt and we all have to figure out how to release that pain and not remain in the victim role, he notes. In addition, we all seek ways to find strength from what we encounter. Another commonality is that “forgiveness is a freely chosen act,” Balkin says. Regardless of cultural views on whether someone should or should not forgive, we all choose to give or not give forgiveness — just as the rabbi on the train chose not to forgive the salesman because the rabbi was not the one who had been truly wronged. Rabbi Heschel’s parable also reminds us that forgiveness does not have to be relational and that there are multiple ways of thinking about it. In addition, counselors should keep in mind that the act of choosing to forgive — being ready to forgive — can be a long process. “A lot of people live their lives in unforgiveness,” Hagedorn observes. This means counselors may encounter clients who never reach a stage when they are ready to begin the work of forgiveness, and that can be frustrating. “Sometimes I’m just scattering seeds, and I’m hoping that someone else will come along and water [them],” Hagedorn says. Counselors can play an important role in demystifying the process of forgiving and helping clients turn their anger, pain and shame into something empowering. Even if counselors never hear their clients utter the difficult words “I forgive,” they will have planted the seeds that might one day bring new life. In some cases, clients must learn to live with certain hurts and wounds rather than simply releasing them. Military service members often deal with moral injury, which results in shame and hurt, whereas people with addictions often can’t forget the pain they have caused others and themselves. 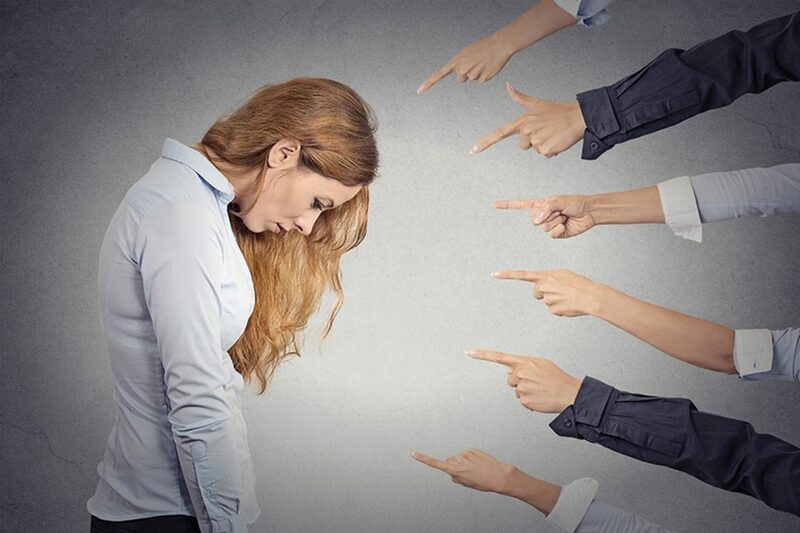 self-forgiveness, ACT and moral injury for the National Board for Certified Counselors. There are other life experiences and new hurts or offenses that typically happen after the fact, and often people are not prepared to deal with them, Stuntzner explains. For example, these clients may be faced with a partner who is having a hard time adjusting to the person’s disability or has even decided to leave the relationship, or they might encounter barriers to finding a job, all of which can increase their anxiety or fear. Stuntzner has found that forgiveness work offers an effective way to help these clients cope. For individuals with disabilities, rehabilitation is often thought of as physical, but there is an emotional component as well, especially for people with a traumatic injury that suddenly changes their lives, such as a spinal injury or stroke, says Stuntzner, a member of the American Counseling Association and the American Rehabilitation Counseling Association. Forgiveness provides these clients with an alternative to letting other people or situations control their view of themselves or their lives, she explains. The process helps them let go of their negative feelings and allows them to find a way to move forward toward a better quality of life, she says. Lindsey Phillips is a freelance writer and content developer living in Northern Virginia. She has 10 years of experience writing on topics of race, immigration and health. Contact her at lindseynphillips@gmail.com or through her website lindseynphillips.com. What’s next for continuing our advocacy for the profession and for the work of counselors as we move forward after the inspiring and energizing ACA 2017 Conference & Expo in San Francisco? That list includes our ongoing work on licensure portability and staying acutely and accurately apprised of new and returning laws and legal initiatives that have the potential to marginalize counselors, the ACA Code of Ethics and our ability to offer the very highest level of counseling practice to all constituents. Let’s look at both of those items. The majority of counselors want licensure portability. 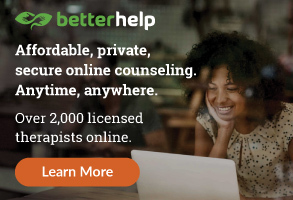 Portability will allow licensed counselors from any state to relocate to a different state and be licensed there either immediately or upon completion of a swift and easy process. The ability of counselors to move freely throughout the United States and retain their licensure seems logical; some might even assume it to be a “right.” And in an aspirational sense, it can be viewed that way. As a concept, it makes good sense. The glitch may come from the state counseling boards. Each state has its own board that approves the issuance of counseling licenses. These individual boards must make the decision to embrace a recommended policy, or “portability of licensure” plan, and then use the parameters within that plan to determine whether to grant someone a license as a professional counselor. This issue continues to be on the forefront of the advocacy agenda for counselors. As for the second issue, all counseling professionals should be keeping up with the sociopolitical climate, including new laws across the country that threaten to further marginalize populations that have already experienced consistent marginalization. I know we are busy with life, career, family and (I hope) some leisure time, so the daily news may not be a priority, but we need to stay aware. Advocacy in this world requires knowledge, and given the technological advances shaping today’s news reporting, staying up-to-date no longer requires sitting and watching a 30-minute nightly news broadcast (even though I still do because I’m a news junkie). I recently gave a workshop on sexual abuse trauma, and a major component of counseling around all trauma is to be trauma aware and trauma knowledgeable. Awareness and knowledge allow us to be vigilant in our advocacy. Our current challenges as counselors are different than ever before. They include reacting to tweets, news briefs, announcements and photos, all of which are potential triggers for trauma on a large or small scale. Our curiosity and awareness will assist us in becoming as savvy as possible, for the good of clients, students, supervisees and our own self-care. As we heighten our awareness of the world’s challenges, we also have a mandate to act, to advocate and to ask hard questions as counselors. To whom should we pose these hard questions? For me, the strategic answer is legislators, sitting elected officials on every level, celebrated athletes and celebrities, educators and anyone who is perceived to have influence. To advocate is to act. So stand in front of these people — literally, philosophically or spiritually. One such act would be to attend Illuminate, being held June 8-10 in Washington, D.C. This new and innovative symposium from ACA will focus on the mental health issues of members of the LGBTQ+ community as seen through a life span development lens. Think about it: advanced training, June in Washington, the beautiful Grand Hyatt Hotel, renewing commitment to best practices for the LGBTQ+ community, 45 workshop sessions, keynotes, camaraderie, networking, bonding and working together for a common and worthwhile cause. And it takes place on Pride Festival weekend, which is a celebration of all diversity. Access the ACA webpage at counseling.org/continuing-education/illuminate for more information. Join us! For a few months now, I have been contemplating whether to write this column or to keep these thoughts to myself. I have wondered if the subject might be too self-reflective, too self-indulgent or maybe just too personal. In the end, I decided to move forward and share these thoughts with you. My father came from a family of six. He was the second of the siblings to pass away, and he was survived by four brothers. My mom was one of nine children, and six of her siblings had died prior to her passing away in 2014. So, in both of my parents’ cases, they were preceded in death by some of their siblings and survived by others. Fast-forward to January of this year, when my beloved sister, Robin, lost her courageous five-year battle with cancer. In our family, there were two kids — Robin and me. She was the kind of big sister who always looked out for me, took care of me and supported me, even when the choices I made might have raised an eyebrow or two. I am keenly aware that a relationship with a sibling is something unique. As part of that relationship, you share experiences and stories that most other people never know about (and certainly not your parents!). When your last (or only) sibling dies, you become the keeper of those secret stories and shared memories. You can tell others about those experiences, but it just isn’t the same. I will miss so many things about my sister. In many ways, she resembled my mom in being an extremely generous, caring, supportive and genuine person. As Robin went through various treatments, procedures and medicines, she never said that she wanted to live longer so that she could walk on the beach, or see spring flowers in bloom, or even witness our hapless San Francisco 49ers return to the Super Bowl. Nope, her drive to live came from her desire to see her grandsons grow up. She was just that kind of person — someone who wanted to see others succeed, grow and develop. I now feel somewhat embarrassed about not having been more compassionate in the past when friends or colleagues experienced the loss of a sibling. I certainly expressed my condolences and offered my support during those times, but having now gone through the actual experience myself, I imagine that I will be even more genuine in what I say in the future. My firsthand experience has been an eye-opener. As professional counselors, you have a huge hurdle to overcome. You are the “listener” for those who share their doubts, concerns and anxieties. However, you are also a person with your own thoughts, experiences and emotions. Our ACA Code of Ethics provides guidance in terms of what you bring into a counseling relationship and what you try to keep “outside” of that dialogue with your clients and students. 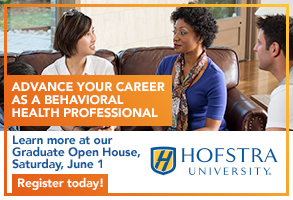 I continue to be impressed with what our members and other professional counselors do for the millions of clients, students and communities with which they work. Professional counselors deal with clients’ grief, sadness, lack of direction and, at times, even joy. All of this can be quite taxing. Given that reality, I will continue to recommend that professional counselors receive training focused on their own personal wellness. 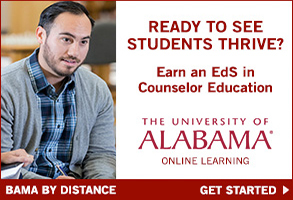 This is so important if counselors are to continue delivering such valuable services. Self-care needs to be a cornerstone of the training that our members receive, and it must be something that our members practice on a regular basis. Let your experiences help you to be a better professional counselor, but do not let those experiences damage the important counselor-client relationships that you build.